Keeping your bathtub together aesthetically and efficiently is very important. And to do this, you will need to have a good caulk for bathtub usage. This will even allow you to keep your overall bathroom in shape. But have you been one of the lost souls standing in the caulking section of a hardware store and found yourself speechless staring at the number of caulk choices? Well, don’t worry. I’m here to guide you to purchase the best bathtub caulk that will solve your problem. If you want to know what products made it to the list, then please keep on reading below. 1. What type of Bathtub Caulk You Should Use? There are actually two main types of caulk suitable to be used on a bathtub. The best one will depend on the materials the caulk will be in contact with as well as your skill level of putting on the caulk. The two best choices for caulking a bathtub are silicone and latex. Silicone: If you need caulking on slick, nonporous surfaces, like metal, glass and ceramic tile, then you need to choose silicone as it adheres best to these surfaces. Latex: On the other hand, latex works best for uneven, porous or lopsided surfaces like wood trim or stone tiles near the tub’s base. The main advantage of silicone caulk is that it is very strong and remains flexible under all types of condition and will last longer compared to latex, making it ideal for the bathtub area. However, though it is waterproof and flexible, it is not as easy to handle as latex; it requires skill or some practice for you to be able to apply it evenly. You will also need to use mineral spirits to clean the area around the silicone caulk. Silicone caulk can also be hard to remove when it’s time to replace the caulking. Latex caulk, on the other hand, is much easier to apply and is more forgiving. You can fix your small mistakes by just running a wet finger around the bead. The only downside of latex caulk is that it can dry and gets crack over time and requires replacement more often than silicone. But with today’s technology, there are now some manufacturers that offer latex caulk with some silicone additive; as a result, the caulk can now be easily applied while lasting longer than pure latex. 2. How about the color? 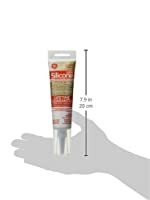 You can paint the latex caulking one it dries; however, silicone does not take any paint, not even those oil-based products. Silicone caulking also doesn’t come in many colors as latex. So if color matching is important to you, then you might want to opt using latex. Both silicone and latex caulking comes in the standard white, almond, black and clear options, which can already be sufficient for most rooms. To choose a color of your bathtub caulk, it is highly recommended to pick one that will exactly match the color of your tub, sink, toilet; this means white is to white, black is to black. This is a feature that you should never skip when buying a caulk for your bathtub. You have to make sure your choice of caulk is waterproof or else mold will grow on it very quickly and you will have to go through the hassle of changing the caulk more frequently. Of course, this is something we don’t want to happen, we don’t want to burn holes on our pocket. 4. Is it resistant to mold and mildew? Since bathtub is frequently in touch with water, the caulk should be smooth enough to prevent the water from sticking and helping mold build up. Mold will make your bathroom unhygienic and can harm your family. It is also very uncomfortable seeing those dark spots at the edge of the tub. 5. Is it heat and cold proof? If you want the best caulk for your bathtub, you need to make sure that it can survive both hold and cold water temperature or else you will very likely get to see your caulk no longer stick to the surface area soon enough. 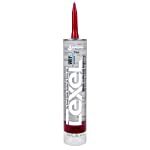 This high-quality Lexel Caulk is very long lasting and comes with remarkable adhesion ability as well as elasticity. It is very ideal for bathtub use as it is not affected by frequent cleaning practices such as scrubbing and will survive any abrasive cleaning tools; thanks to its protection against scratches. What’s impressive about this product is that it sticks even if the surface is still wet, this means you don’t need to wait too long just for the wet area to dry out. This product doesn’t take too long to dry too; in fact, you can immediately use your bathtub after caulking. It will provide permanent seal everywhere it will be applied since it is durable and strong. This is also a paintable caulk and unlike other types of caulks, its ultra-clear adhesive will not cloud up. And since it comes with mold-resistant formula, it will be able to keep its natural color fresh for a longer time. 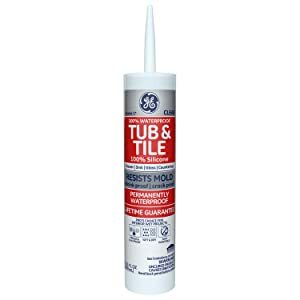 In addition to bathtub use, this caulk is also best used for other bathroom caulking needs, like around your shower stalls. You can also use it on window frames and door frames that bordering other tiles. You will also not have any problem using this caulk to different surfaces as it will still adhere. You can use it on steel, polycarbonate, fiberglass, PVC, etc. This silicone caulk has always been the favorite caulk of the thousand homeowners, all for the good reasons. First of all, it has incredible performance. It is made of 100% silicone without any acrylic additive. That makes this caulk a quality product and is much more flexible and durable than acrylic. It easily and quickly adheres to most bathroom as well as kitchen surfaces like metal, granite, laminate, ceramics, porcelain and even wood and glass. Plus, it has waterproof abilities that make sure water will never get into the bathtub tiles. It also comes with mildew and mold-free guarantee for up to five years. Pretty neat, isn't it? In addition to that, it will only take three hours for this caulk to completely dry after application; your bathroom will be then ready to be used in just a short while. 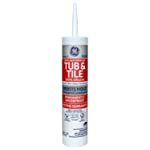 Do you know why this bathtub caulk made it to my list? Well, this unique product doesn’t need any caulking gun to apply. This means you get to save around 25 bucks of a caulking gun. Amazing, isn’t it? It’s definitely the perfect partner whenever you are repairing a little leakage in your bathtub or whatever caulking you need for your home. 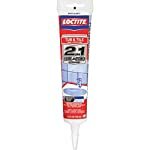 Moreover, this rubber adhesive caulk will not crack even if you are applying it in a thick layer. This is why Flex Shot will absolutely standout, compared to other caulks, if you are planning to fill huge cracks; you can use it in like sandwich layers with one on top of another. This is also a very flexible product, so you don't have to worry using it on a tensioned surface. You will be able to perfectly seal the corners of your tub and give it a look of professional caulking. But the fun doesn't end here, this caulk uses a mold resistant formula to prevent molds from sticking to your bathtub. This will help you maintain a clean and hygienic bathroom. 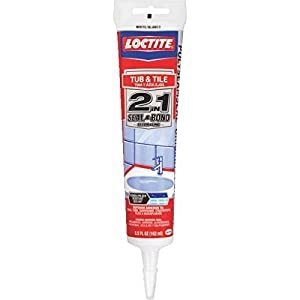 Also, if you are someone who likes to craft or decorate items with sticky caulk, this product can be very handy. Since it uses a tube type caulking system, it will allow you to use it for perfect precision which is very important for decoration and crafts. You can also reuse this caulk as long as there is still some caulk left in the cartridge. This waterproof caulk is made of 100% silicone and it will not shrink, crumble or crack. 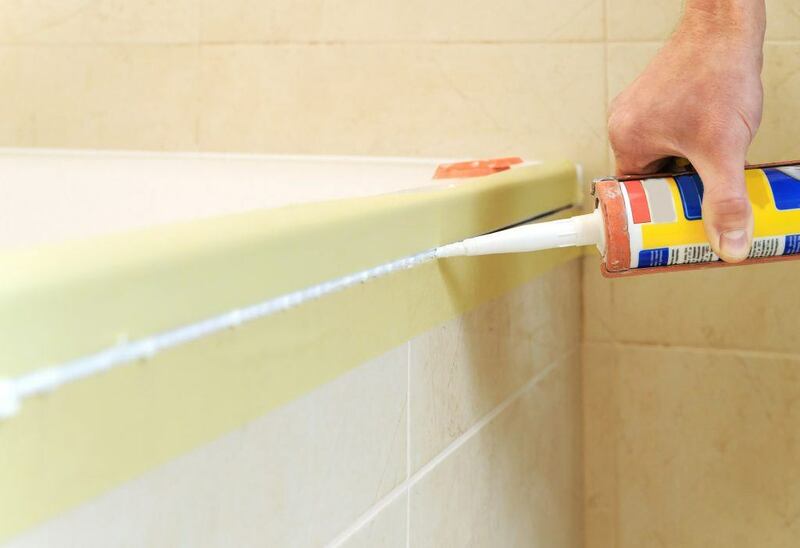 Applying this caulk to your bathtub will provide incredible permanent results. But what makes this product impressive is that it is very easy to apply and has an incredible adhesion. Plus, you will no longer have to worry about the unsightly and unhealthy stain due to mildews and molds as the caulk does not pull away even if it will be under the extreme heat conditions. In addition to bathtub use, it is also ideal for sealing around backsplashes, countertops, fixtures, showers, sinks and several other plumbing projects. This waterproof tub specialist can be used into the wet and even humid surfaces. It’s an extremely flexible product that can last long, making it the number one caulk for the bathroom. This product is also perfect for sealing around sinks, tiles shower stalls, and any plumbing fixtures. It has excellent adhesion to porcelain, ceramic, stainless steel, aluminum, glass, wood, fiberglass composites, and even plastics. This sealant also has mildewcide content that can resist mildew from sticking onto it. This means you no longer have to go through the hassle of getting rid of the sealant after a while just because of the filthy molds. Moreover, this caulk can endure both warm and cold water without any damage to it, just make sure you placing the caulk right and allow it to be well dried. The warm water temperature should also not exceed room temperature. Be careful not to pour hot water on it as this might separate the caulk from the surface. I know it can be a very daunting task to pick the best bathtub caulk in the market since there are so many applications and it’s easy to get overwhelmed by these choices. So I hope this article will be able to help your shopping experience a hassle-free one. Don’t forget to share with me your experience with your choice of bathtub caulk in the comment section below. I would absolutely love to hear from you.